This book consists of healthy alternative breakfasts that cater to people who have wheat, gluten and dairy intolerances, or for those wanting to live a healthier lifestyle. From smoothies, muffins to power balls, all can be found in here! Fresh Start E-Book is a collection of 23 wheat, gluten and dairy free breakfast recipes for those with intolerances or wanting to live a healthier lifestyle. 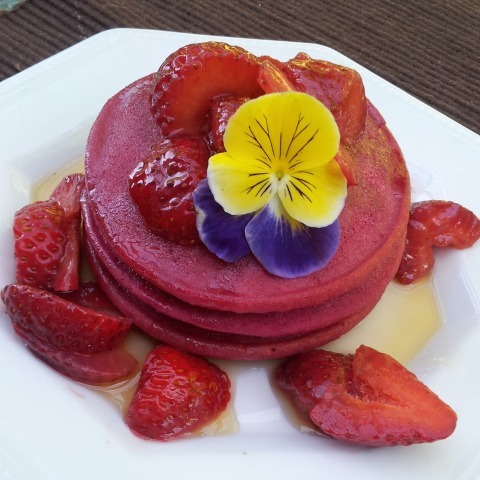 Recipes include Pink Pancakes, Strawberry Rhubarb Jam, Morning Salad with Sunflower Avocado Sauce and Berries N' Cream Smoothie.